The main house of the bed and breakfast was completely restored over the winter of 1997. It was quite an effort, this old farmhouse had seen its best days long ago. The house was gutted, and the floor plans were drawn up, designing the unique trim work and the layout of the inn to mirror the style of an old farmhouse. After a grueling winter of dust and endless projects, efforts were rewarded with five beautiful bedrooms and a first generation business. In 2002 the property expanded across the backyard with the restoration of what is called the Quietside Cottage. This house sits a couple hundred feet behind the main house. It is believed this house was originally built in 1925. It was definitely in need of a complete renovation from the inside out. And so it was done. Most of the rooms in this house are larger than the main house rooms, with significant sitting areas, and some with a balcony or private patio. Soothing colors and lots of space top off the already great rooms. In 2013, the Inn expanded again with four brand new rooms, in a new building, between the inn and the Quietside House. We have a handicap accessible room here. The rooms in this house are not large, but adequate and super comfy. 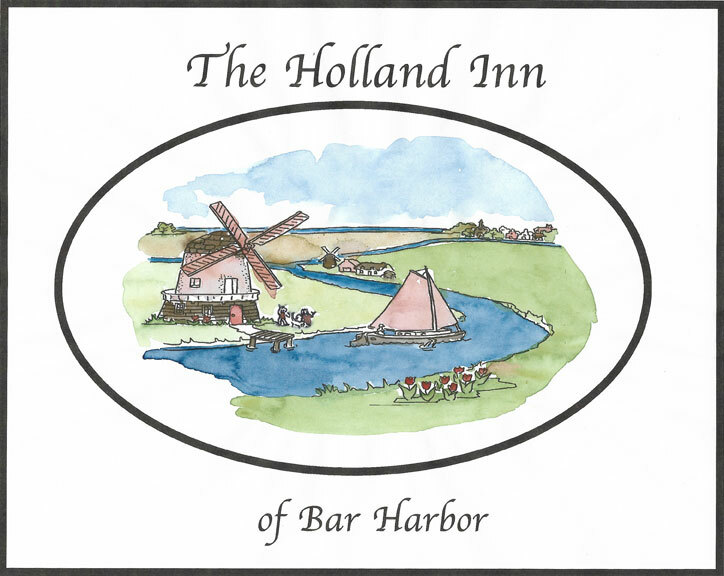 At this B&B, your innkeeper will make staying in one of Bar Harbor's inns a special experience. Comfortable rooms and beds provide traditional B&B flavor. A tasty, well balanced gourmet breakfast is included in your stay.